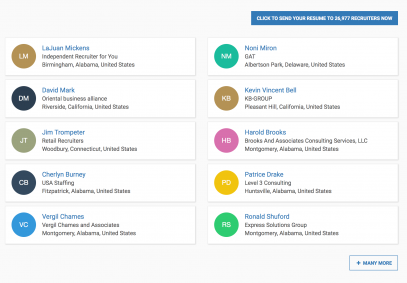 Give your job search a boost in just a few clicks. INC: "Top 9 Websites to Find Top Talent"
FORBES: "Top 35 Most Influential Career Site"
Posting your Resume is finally easy. Start by selecting the criteria that align with your career goals. 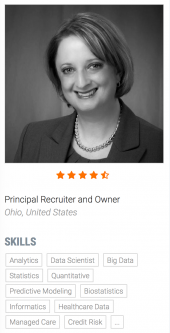 Top recruiters receive your resume in just a few clicks. a great opportunity for you. We distribute your resume to the recruiters on our platform. They can follow up with you or keep your resume on file. 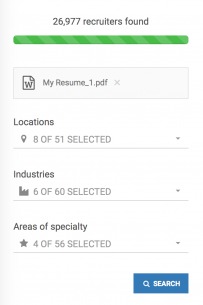 Give your Resume Massive Exposure. We Stay on the Lookout for You. Our Recruiting Solutions Specialists will match you with new job opportunities on our platform. We also engage our recruiters on your behalf when it's a right fit.